(MissionNewswire) The Salesian-run Angel Tomás Foundation is organizing activities in Salesian centers throughout Spain so that youth will have access to interesting and educational programs this summer. While other educational institutions close for the summer, the Salesian centers continue to organize activities for youth who might not otherwise have the opportunity to experience a fun and active summer holiday. Nearly 20,000 youth will be impacted by these summer camps. These programs would not be possible without the many Salesian missionaries and youth leaders engaged in setting up and facilitating the activities. For many leaders, this is an opportunity to gain some hands-on volunteer experience. More than 2,500 youth leaders and 350 Salesian missionaries will help to lead these summer camps. The Don Bosco Center dedicated the last week of June for the Talayuelas summer camp, while the Entreamics center hosts a summer camp from July 2 to 7 in Bocairent. At the Salesians of Alcoy, an urban summer camp is being offered from July 2 to 27 featuring excursions to parks and a swimming pool and activities such as adventure games and horseback riding along with many others. At Alraso Cartagena, a camp for youth ages 15 to 21 will be offered that includes school mentoring, cultural initiatives, trips to the beach, pool, water park and zoo. 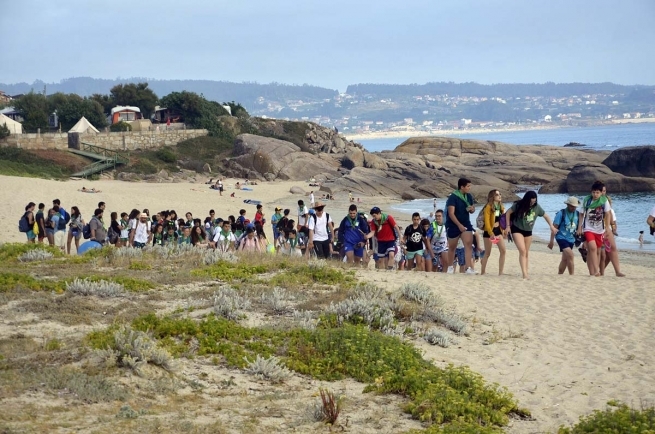 The Camino de Santiago and the Don Bosco Challenge are also reserved for older children between the ages of 16 and 18 and will be held during the week of July 16 to 23. Campobosco, organized by the Salesian Youth Movement of Spain and Portugal, will serve about 650 youth and will take them to visit the Salesian sites of Barcelona and Turin. This year, thanks to scholarships from Educo, a global development nonprofit focused on child rights, especially access to education, 485 children from the urban areas of Valencia, Elche and Cartagena will be guaranteed nourishing and healthy meals. The summer camps bring together youth from many different faiths and serve as an opportunity for campers to learn from one another. Traditionally the camps are held in places around the country that feature special natural environments. Some camps offer outdoor camping and others accommodate participants in country houses. Leisure time and activities are combined with times of prayer and reflection, all with an emphasis on maintaining a friendly atmosphere. In more urban areas, activities are held on Salesian center grounds and are aimed at the general public, especially young families who cannot travel far from home. Traditional recreation activities, sports and education programs are offered. Hard hit by the current economic troubles in Europe, Spain now has the greatest inequality of the 27 countries of the European Union. According to the World Bank, close to 25 percent of Spanish workers are unemployed and a growing number of them can’t afford to buy enough food to live. One in five citizens is living below the poverty line and poor youth with few employable skills struggle the most to find and retain stable employment.